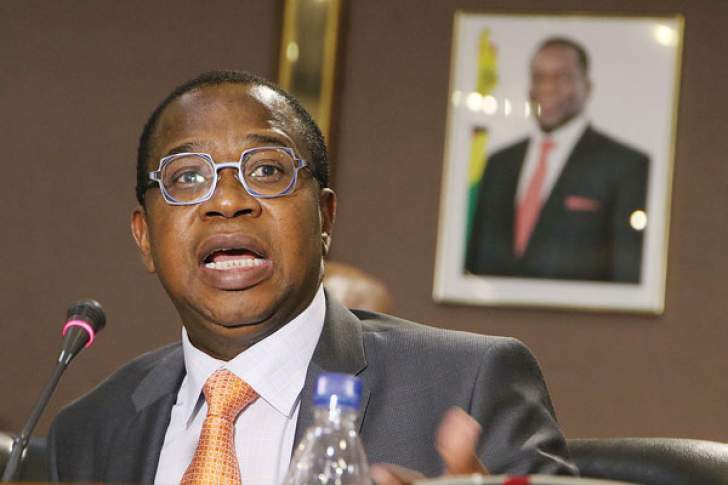 FINANCE and Economic Development Minister, Professor Mthuli Ncube, says the country's financial situation is improving with the newly introduced RTGS dollar set to gain more value on the back of on-going fiscal reforms and control of money supply into the market. In an interview with United States' National Public Radio (NPR) during his recent trip to Washington DC, Prof Ncube said Government's transformative reform drive was slowly pulling the economy back to stability. "The situation is improving, but improving slowly. But it will improve faster as we go along," he said. "I'm hopeful we will see this through. Zimbabwe will be normal again. We'll turn it around." Asked about the public confidence factor on the new RTGS and the need to tame inflation, which had spiralled into double digits, he said prudent macro-economic management and capacity exhibited by President Mnangagwa's dispensation would yield the desired confidence and focus, which was absent in the past. "That has changed since four months ago since we came in. We are running a budget surplus. We are containing the growth of money supply. We're determined to give value to the currency that we've launched and want people to believe in us. We're determined to make this right," said Prof Ncube. The latest progress report on reforms issued by Treasury already shows that Government has scored major milestones in containing the fiscal deficit and broadening its revenue base through curbing leakages and expenditure containment. The target this year is to reduce the budget deficit from about 12 percent of GDP in 2018 to five percent. Inflation is also expected to slow down to single digit benefitting from the fiscal consolidation measures and containment of money supply growth to below 10 percent by year end, says Treasury. These are being complemented by the recent Monetary Policy Statement, which reintroduced the interbank foreign currency exchange and separate FCA accounts and RTGS accounts. These have set the tone for the implementation of currency reforms. Prof Ncube acknowledged the problem of foreign currency shortage in the economy and the struggle that depositors went through in seeking to withdraw their cash from banks. Although Zimbabwe adopted the US dollar as its major currency under the multiple-currency regime in 2009, Prof Ncube said the cash squeeze was inevitable as the country does not print US dollars, and does not have an agreement with the US government for the supply of the greenback. "So money ran out. So - but imagine that now if you have domestic currency that you're able to print, that you control, then we will not have this problem," he said. The minister said President Mnangagwa's "Zimbabwe is open for business" message was genuine and was being expressed in the ongoing reforms meant to create a favourable investment climate and an inclusive economic growth. He said the recent MDC-Alliance instigated violent protests that resulted in wanton destruction of property and looting of businesses were regrettable, and exposed institutional gaps created by the departure of the old regime as the intensity of protests overwhelmed the law enforcement agents. He, however, commended President Mnangagwa for coming out very strongly and clear in condemning violence from both sides. "I think that is a very, very strong statement," said Prof Ncube. "As I say, it is really about the ability to cope with such intense protests in a situation where some of the State institutions are not as strong because their power is eroded by a - this leader who was there for too long."